New tools come out seemingly every day. Many of them are complete redesigns over previous models but sometimes they are incremental improvements that fix the issues with the previous model. 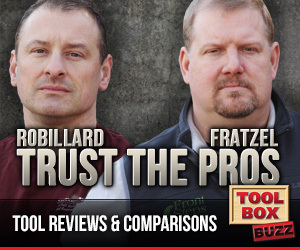 We reviewed the Skilsaw Worm Drive Table Saw when it first came out. The sheer power and depth of cut were unmatched by any 10″ job site saw to date. It was an incredible saw. The only complaint we had was the fence. The new HD version has a rack and pinion fence, just like the Dewalt one that everyone loves. Now we’re talkin’, this is a saw we can’t wait to get onto the job site! Naperville, Ill., Oct. 4, 2017 – SKILSAW, creator of the worm drive saw, takes its professional table saw offering to the next level with its new 10-inch Heavy Duty Worm Drive Table Saw. 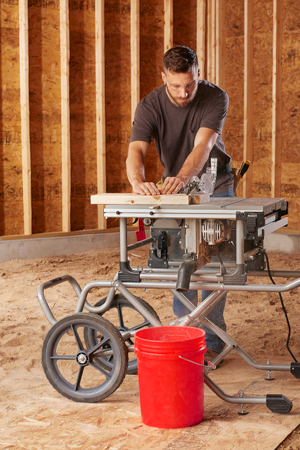 This heavy duty table saw is equipped with SKILSAW’s legendary worm drive power train for maximum torque, and a patented Dual-Field™ motor that runs cool, enabling it to work harder, longer, increasing jobsite productivity. 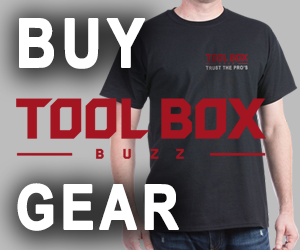 The table saw features a 3-5/8-inch depth of cut that rips through sheet goods and cross cuts 4x with ease and accuracy, as well as a 30-1/2-inch rip capacity. SKILSAW designed this saw with a precision rack and pinion fence system, allowing quick, smooth fence adjustments for exact cuts. 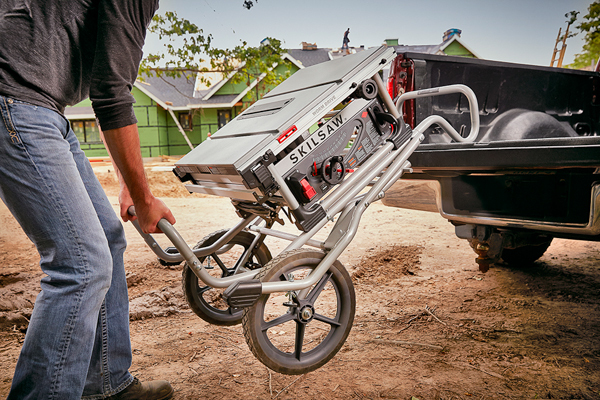 “We introduced the first worm drive table saw in 2015, and now, to further our commitment to providing cutting solutions to professional users, we’re bringing pros a heavy duty version with greater cut capacity and jobsite mobility,” said Bogdan Moldovan, Product Manager at SKILSAW. 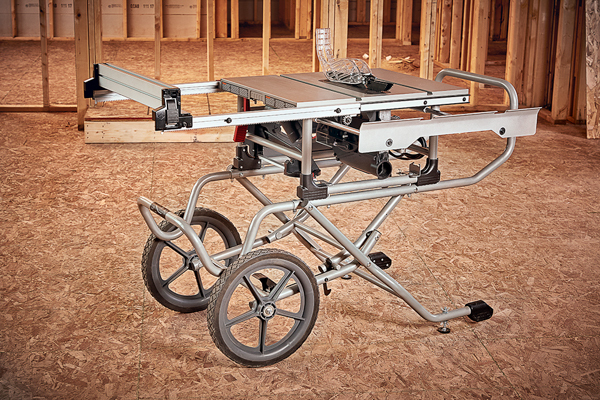 Included with the table saw is a rugged, rolling stand with 16-inch wheels that delivers unsurpassed mobility, even when moving the saw over stairs, uneven surfaces and rough jobsite terrain. The stand also features a left-side support for larger materials, while the table saw’s flip support extends the fence beyond the table surface. Round-edged handles on the stand enable snag-free loading and unloading while transporting, and solid rubber feet provide extra stability whether the stand is in use or folded. Dust management is facilitated with a unique dust elbow, which can be connected to a vacuum or used to direct sawdust into a bucket or other container. 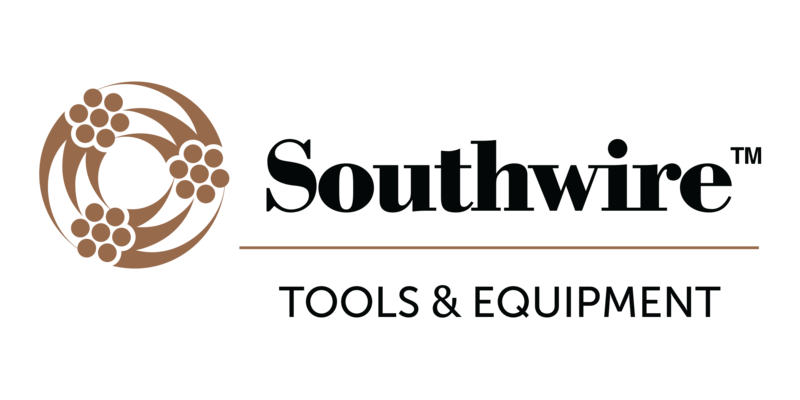 The 10-inch Heavy Duty Worm Drive Table Saw is available in two different models: the SPT99-11, featuring a SKILSAW blade, and the SPT99-12, with a Diablo blade. The table saw is priced competitively at $579. 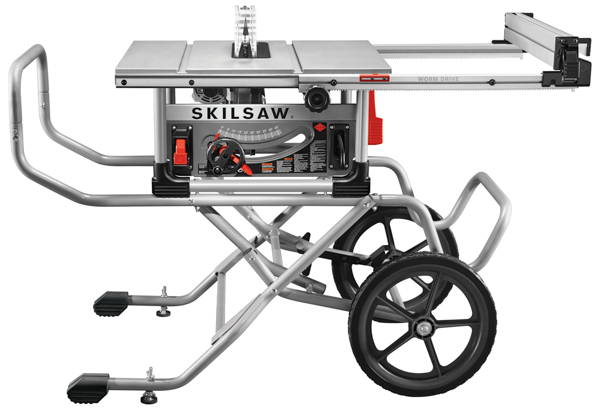 To learn more about the 10-Inch Heavy Duty Worm Drive Table Saw, visitwww.skilsaw.com. 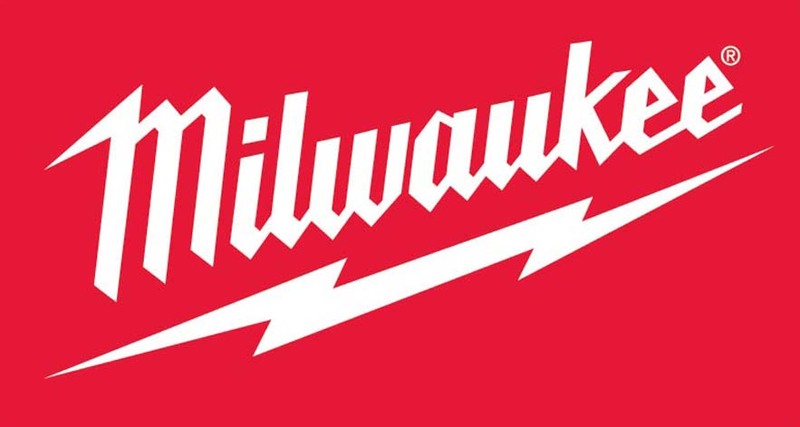 SKILSAW Power Tools, in Naperville, Ill., is a leader in cutting technology serving the professional construction market under the SKILSAW brand and consumer do-it-yourself market under the SKIL brand. SKILSAW Power Tools was founded in 1924 with the invention of its flagship tool, the SKILSAW, the world’s first portable circular saw. The invention of this saw also pioneered the use of worm drive gearing, Dual-Field™ motor and die-cast aluminum motor housing. Its successor, the SKILSAW Model 77 became the benchmark of portable circular saws changing the construction and home improvement industry forever.